Traci Hilton is here today to talk with us about housecleaning, murder, husbands and whether she’d take Lottery winnings in monthly payments or a lump sum! So get yourself comfortable with your coffee or wine (hey, it’s 4pm somewhere) and enjoy today’s awesome interview! 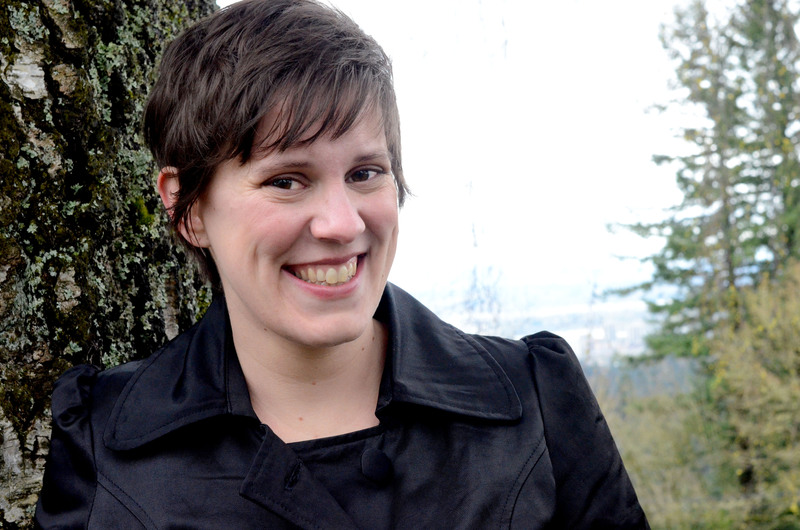 Traci earned a degree in History from Portland State University and still lives in the rainiest part of the Pacific Northwest with her husband the mandolin playing funeral director, their two daughters, and their dog, Dr. Watson. Welcome to the blog today, Traci!! Thanks so much for being here! I’m more than a little excited to have you on the blog today! I know you’ve been busy with your next release, can you tell us a little about it? Thanks. I’m excited to be here too. I’ll try to keep my use of smiley’s to a minimum, to maintain a professional image, but it will be hard. My new release is Good, Clean, Murder: A Plain Jane Mystery. Jane is a housecleaner by day, Bible School student by night, who is counting the seconds until she can leave for the foreign missions field. All at once things go really south for her, and the dead bodies in the master bedroom are almost the least of her worries. I can’t wait for this book, it sounds interesting and different! How did you get the idea to use a housecleaner? Housecleaners are supposed to be invisible, silently fixing things for their employers, which puts them in the perfect position to see and hear things they shouldn’t have. It’s also perfect for a series, since you can introduce a new set of clients in every book. That’s genius. Have you had any experiences with this that found its way into your plot? …I dream of getting a housecleaner, does that count? ;) I spent the summer after I graduated high school cleaning houses with my mom who ran her own business at the time. And then, that September I flew away to Bible School. So this book comes from life, at least a little bit. What would YOU hide from a housecleaner? The snacks! I remember what I was like as a babysitter…I can’t afford to feed my kids and a housecleaner! That’s funny! My Mom also used to clean homes and it’s not an easy job. Oh, the stories a housecleaner can tell! Which is so great about this idea of yours! If you could pull one of the characters out of your book and become best friends with him/her, who would you choose and why? Ooh, that’s hard because I love them all for different reasons. My main characters are pretty young, in their early twenties, so I would have to go back in time, I think. But if I did, I’d chose Jake. He’s the perfect guy for the friend-zone. He’s impulsive, has connections for free hamburgers, and impossible to take seriously. If I were picking from their future, 35-year-old selves, I’d pick Jane. She’ll have some great stories to tell in he future, and after all the troubles I intend to put her through she will have a great sense of perspective. Awwww, Jane sounds like she has her work cut out for her in your books! LOL And I can’t wait to ‘meet’ Jake! Are your characters based off of people you know? In this book the love interest has shades of my husband. One day he mentioned that the love interest in my last series is about as different from him as can be. In the Mitzy Neuhaus Mystery series, Mitzy falls for a stocky, handsome, forty-year old Italian man who has recently become a Christian. Since Jane is a lot more like me than Mitzy is, I thought I could humor my love by making the love interest in this book a tall, athletic, smart guy from a nice protestant home. But I didn’t want to make it too easy, so there are a few road blocks in the way of the young people. Hopefully that makes your hubby feel loved! How long have you been married? It will be 12 years this year! Time flies when you are having fun! Short story is we met at college. Long story is he was the devastatingly handsome man who played the harmonica during our Wednesday lunch time Baptist Student Ministries worship hour. I say Man because I was 19 and he was fully 22 and had serious five o’clock shadow…*swoon* One day I was leaving the room we met at, turned around and bumped right into him! He said hi, I said hi. I asked him a few pertinent questions, like his name and what he was studying. He said he was studying funeral directing and my first thought was “Ah, what a bummer! He is so cute!” I was not at all interested in being married to a guy who worked with dead bodies. LOL!!!! OMG I can see that as being the PERFECT hubby for a writer! Were you writing at the time? Yes and no. Like Jane, I was fully intending to head overseas as a missionary. I loved writing, and writing update letters to supporters back home (blogs weren’t much of a thing yet) is a bit part of being a missionary, so I knew I’d get to do plenty of it. My dual ambitions as a kid had always been to be a missionary or an author, but I had set aside my fiction writing ambitions for the time. If I couldn’t be a missionary I was planning on being a journalist or an anthropologist. Don’t you just love young people? Nothing is impossible when you are twenty! Except of course, writing fiction. That was usually presented by loving teachers, as something impossible to make a living at, so I didn’t even plan on trying. I used to want to be a journalist and anthropologist at one time! How coincidental! So, when you aren’t writing or thinking about writing (a full-time job, I know) what do you like to do? I just like to create. I go a little stir crazy if I don’t have some kind of project going on. Right now I’m a little obsessed with knitting and quilting. I’ve got a project going that is made up of the scraps from all of the baby quilts I made while my friends were having babies. I found a really swirly fabric for the back and I’m hand stitching every line. I’ve been at it since late summer and it will probably take me more than a year to complete, but I don’t mind. It’s so soothing to sit in the evening stitching while I watch TV. Plus it’s nice to have something to do with my hands while I play dance mom. Awwww, that quilt sounds lovely! I want to learn how to quilt, I can crochet, but that’s about it! LOL Do any of the dance mom’s know you are a writer? When I sat in my daughter’s dance classes, it was hard not to overhear some funny stuff. They do know, and likely censor themselves accordingly! HAHAHAHAHA! So, what can we expect to see from you after this upcoming release? Please tell me there will be more Tracy Hilton books coming out soon! Yes! Definitely! The Plain Jane series has three more books on the docket, and there is a fairly strong chance for a Christmas theme Mitzy book in 2013. Squeee! Before we leave today, what advice would you give to someone if they were interested in publishing their first book? But the point is the same, before you publish learn as much as you possibly can about how to make your book perfect.Doing due diligence will protect your reputation as a writer and set you up for a long, fruitful career. Ohhhh excellent name dropping you did there! LOL Ok – it’s time for our Rapid Fire Questions, strap yourself in, Traci! Yay!! Thank you for joining us today! I can’t wait for your new release party! Thanks so much! It was super fun yakking with you. 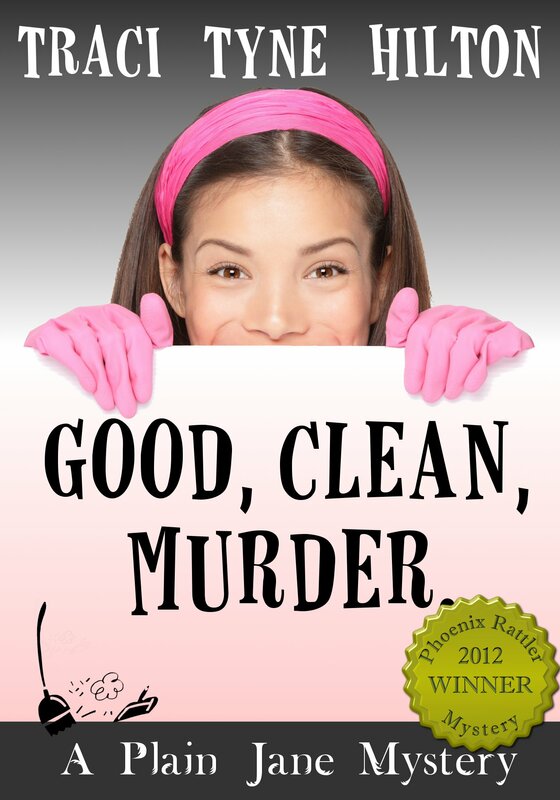 Check out the cover for Tracy’s next release, Good, Clean, Murder! You can join the FREE Facebook Online Party for the book launch HERE! Want a copy before the official release? Check it out on Amazon! Traci Tyne Hilton’s newest story, “Cupid’s Cappucino” is available just in time for Valentine’s Day! Find it in the romance collection. Heart Bouquets at amazon.com! More of Traci’s work can be found at http://www.tracihilton.com – happy reading! !